In this article I will analyze the use of the referendum in the processes of secession of part of a State. In the first chapter, in terms of general theory, I will explore the reasons for and limits of the use of the referendum in the processes of independence of part of a State or disappearance of a State because of the secession of a part of its territory. In that regard, I consider that the referendum is a necessary instrument to declare such a secession, but never enough, insofar as the independence of part of a State cannot be declared solely by means of a referendum. Several arguments support the need, given that this is essential, for a process in which Parliaments and citizens participate in a referendum. In my opinion, the Spanish Constitution of 1978 contains appropriate regulations for the secession of part of a State in which the use of the referendum fulfils all the democratic requirements. 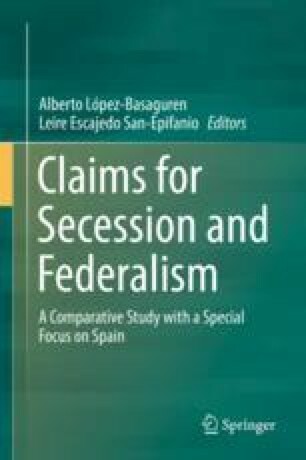 This is why the second and third chapters of this work focus on the examination of the constitutional Spanish regulation that, on the one hand, appears as a model contrary to the secession as consequence of a simple referendum and in which, on the other hand, the referendum is one of the phases of a longer process for the declaration of the secession.